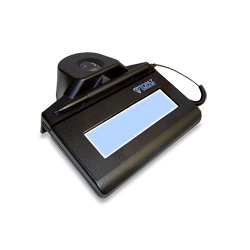 High-quality, high-resolution Electronic Signature pad and integrated fingerprint sensor. It will capture and recognize signature and fingerprint imaging. Designed for ergonomic and natural finger and thumb scanning from the front of the touch pad without awkward movement.